What I'm thinking is: I'm assuming the order would be something like this: Mechanical pencils, eco-friendly pencils, normal pencils, refillable ball point pens, fountain pens and finally the single-use ball point pens. Would that be correct? If not, why not? There's already a similar question here: What is more sustainable, using a mechanical pencil or a pen? But my question is slightly different because it's not just about a mechanical pencil vs a pen. And the two answers deal with just fountain pens. Hmm. Opinion only, based on their use. Based on the amount of time I can use them, not counting losing them. Fountain pens. The rubber bladder ones that you could refill from an inkwell. A decent fountain pen can last for decades. Ink is cheap. I have never worn out a fountain pen. The cartridge ones are much worse, and I would probably rank them near the bottom, due to the short life of the cartridge. Mechanical Pencils; the Staetdler drafting pencils with 2 mm leads last forever. You sharpen the lead as needed on a piece of sandpaper. I have one that is still on it's first lead. The ones with smaller leads are still very cheap. Even using the ones that are difficult to reload, I figure the outlast a wooden pencil by at least 3:1. Paper pencils. Not sure about this one. Depends on the binding agent. I don't like the feel of them, so I don't have much experience. I like the idea. Waste paper is more sustainable than wood. Refillable ball point pens. I assume you are referring to the replaceable tube with ball. I've owned parker pens, and on a few occasions I've kept one long enough to replace the cartridge. Single-use ball point pens. Mostly due to the plastic. Note there are paper case stick pens too as well as pencils. 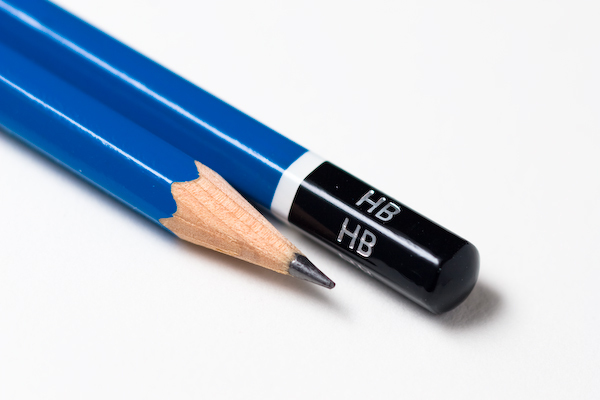 The paper ones rank above paper pencils due to longer life. Pencils (regular) These just don't last in my book. Most have no clips so they are easy to lose. You have to carry several since you don't click or twist after breaking the lead. Pencils and mechanical pencils are often similar prices (see www.staples.ca) But I'm convinced that the production cost is small compared to the rest of the supply chain. Anything with a clip ranks above anything without. You can buy clips that clip onto pencils. For me this triples the cost of the pencil, and only increases the resident time somewhat. A mechanical pencil with a clip wins. You can also get leashes. This has a stretchy band at one end you can put around the writing implement, and a loop you can fasten to button hole, binder or clipboard. You can make the equivalent with butcher twine and duct tape. The damage is minimal for all writing instruments. In order for somebody to bother doing something that could possibly damage the environment, you have to pay a substantial amount of money. As an example, if you pay $1 for a taxi ride, the taxi ride will be very short (nobody would offer you a taxi ride where $2 worth of gasoline will be burnt, and the taxi ride costs $1). Thus, the damage to environment will be minimal. Do a simple experiment: take a 10 blank pieces of paper. Weigh them using an accurate scale. Write something on the papers, and weight them again. Do you see an increase in weight? Probably not, unless you have a laboratory scale. Thus, I would focus on the paper, not on the writing instruments. Paper production creates black liquor, and unfortunately the best way to get rid of it is to burn it, releasing carbon dioxide into the atmosphere. About half of the carbon in wood will be burned. So, even if you take all measures possible to ensure the paper will be buried in a landfill instead of being burned, some amount of carbon dioxide will be released in paper production. Also, wood is a limited resource and using it for paper prevents other uses such as mitigating climate change by directly burying wood underground, or burning it as biomass for energy. Thus, by using paper, you are causing more climate change. Focus on where the problem is! It's not the writing instrument, it's the paper on which you are writing! We are very fortunate that paper use is reducing due to computers. Pragmatically speaking, I'd say that the giant bag of pens and pencils for 50c at the thrift store is probably the winner. I imagine those take a while to sell and are one of the first things to be trashed when the store needs shelf space. Not the answer you're looking for? Browse other questions tagged ecological-footprint life-cycle-analysis or ask your own question. What are freely available tools or databases for Lifecycle Assesment?